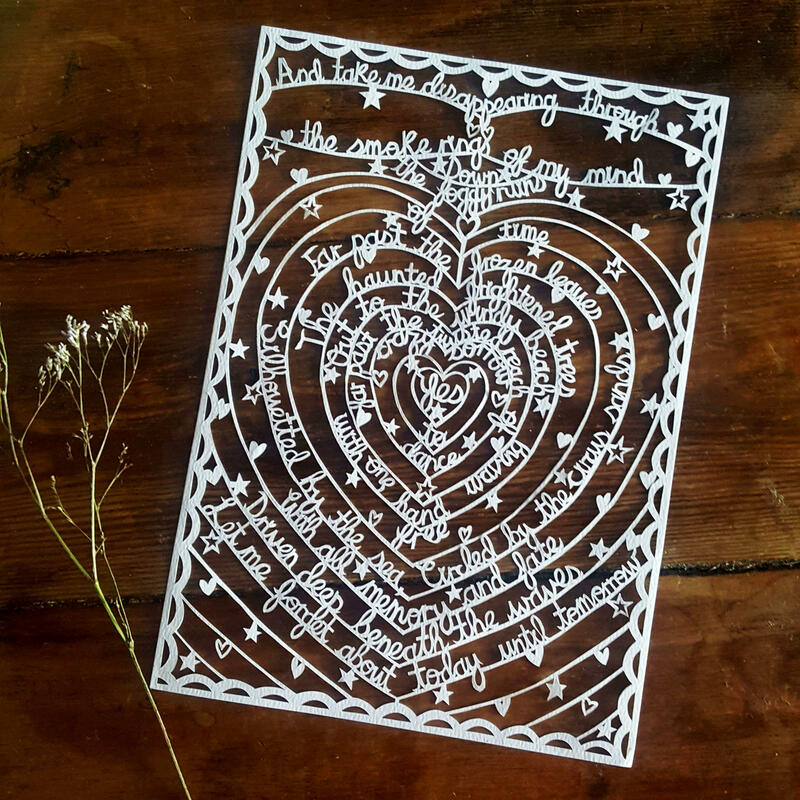 A beautifully intricate hand drawn, hand cut paper cut of your favourite lyrics, words or special reading in a heart formation of delicate script for you to treasure forever. 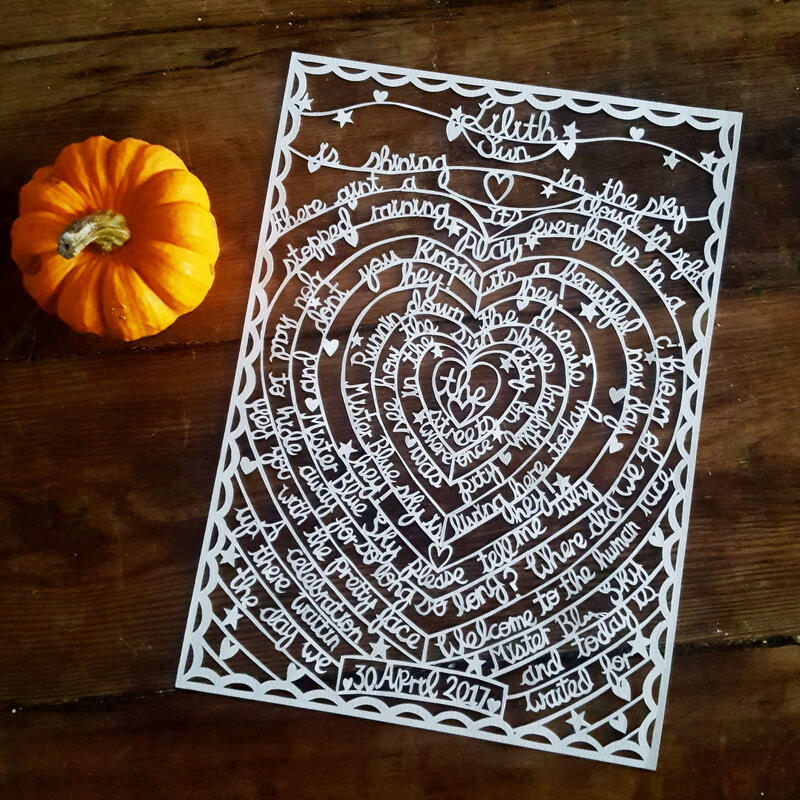 Add your names and special date if you wish and I will build it around a heart formation in my naturally cursive handwriting, ideal for a paper or milestone anniversary or for a person special to you. Choose up to 115 words on A4/ 21 X 29.7 cm. 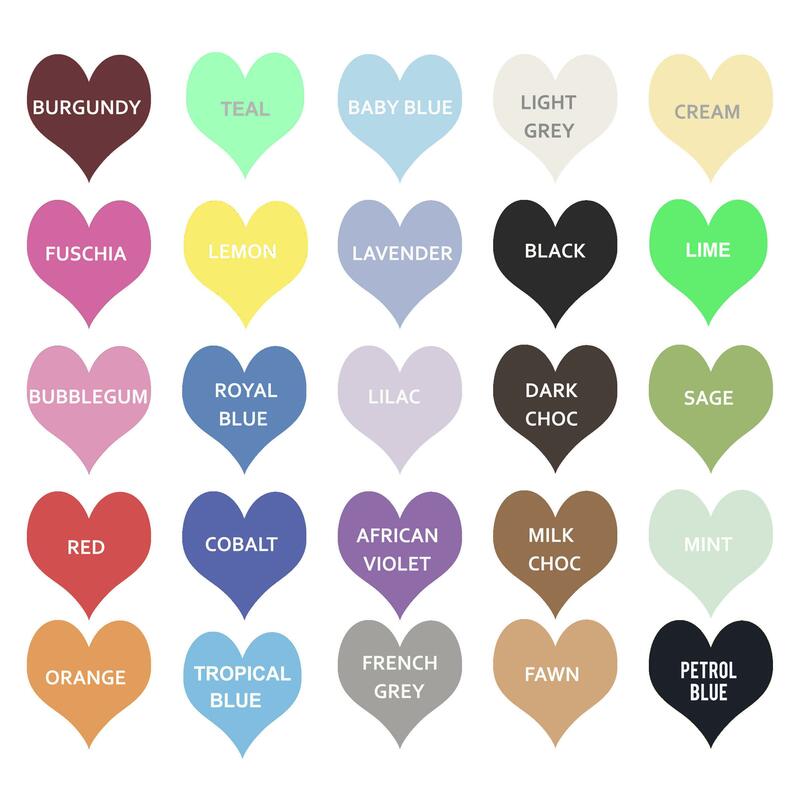 If your song has more words, they can be pro-rated accordingly on an A3/29.7 x 42.0cm-please see drop-down on the menu for pricing, it will appear after you pick your background colour. If your song is too long, pick a section for me to work some magic with! -Choose special song/text and check word count on a Word checker website. If you have any queries with the word count please email aimeemissbespoke@gmail.com and send me the song name and artist and I can check it for you. 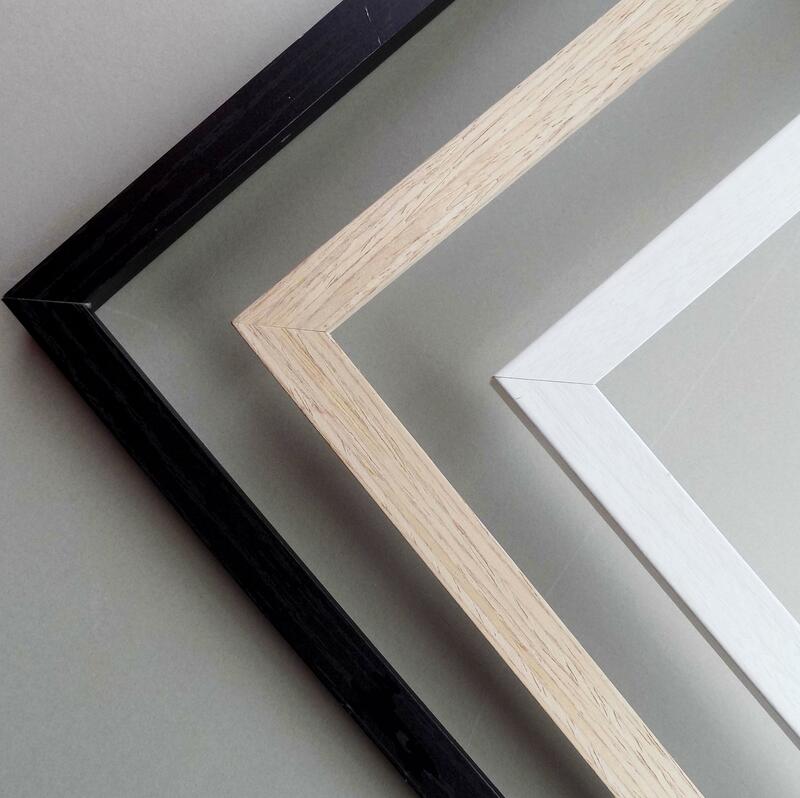 Framing Option 2 ; Double glass floating frame, handmade using tulipwood (Image 9). 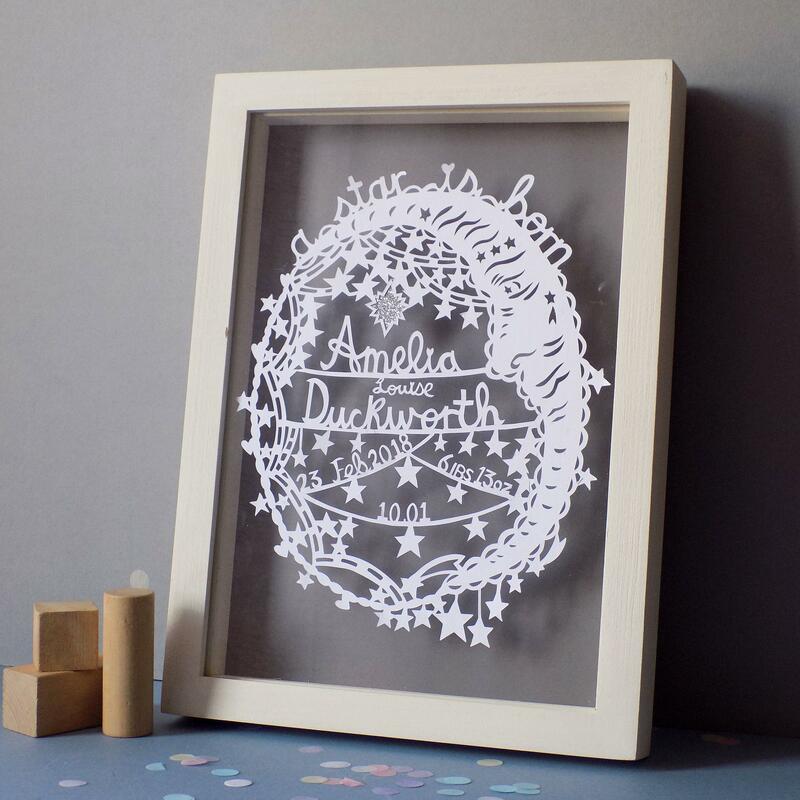 Two panes of glass encase your papercut, with the background paper colour at the back, perfect for catching shadows. 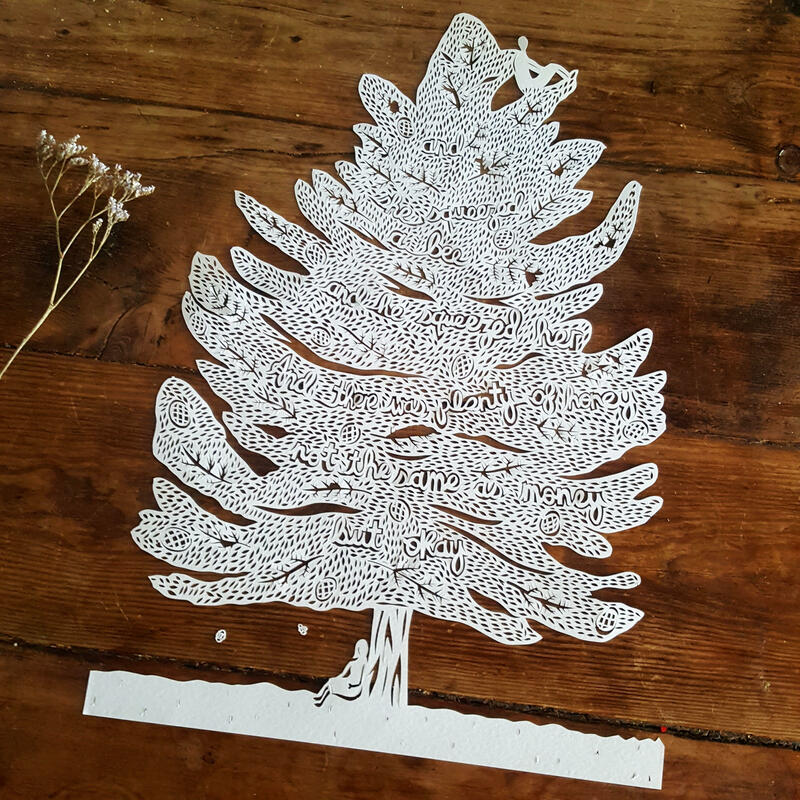 320 mm X 240 mm. FREE UK DELIVERY- Dispatched within three weeks. 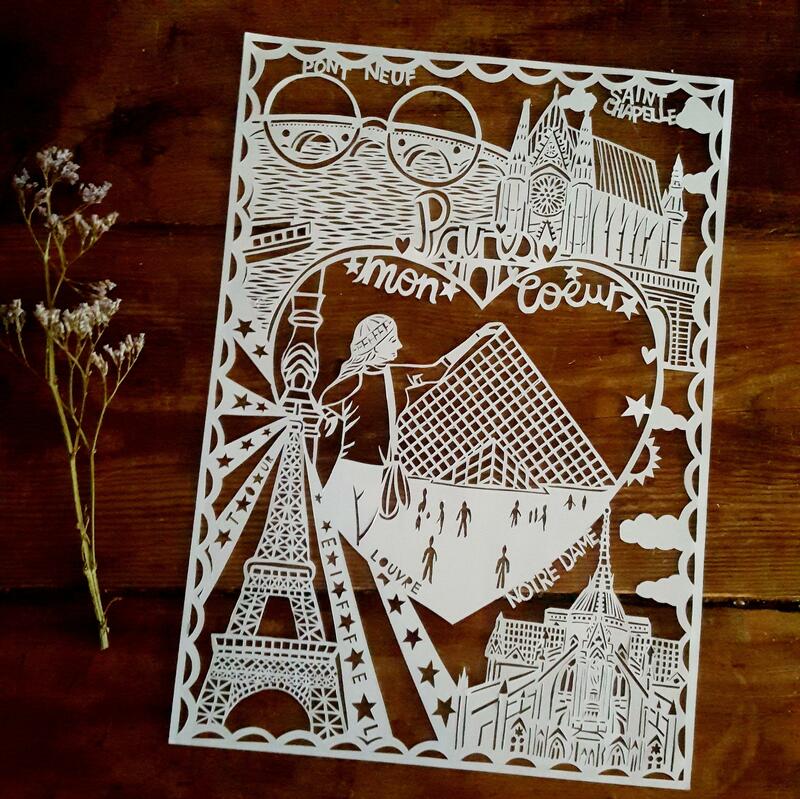 I send this paper cut by Royal Mail Special Delivery so that it is fully insured to its value, please note your package will require a signature upon delivery.